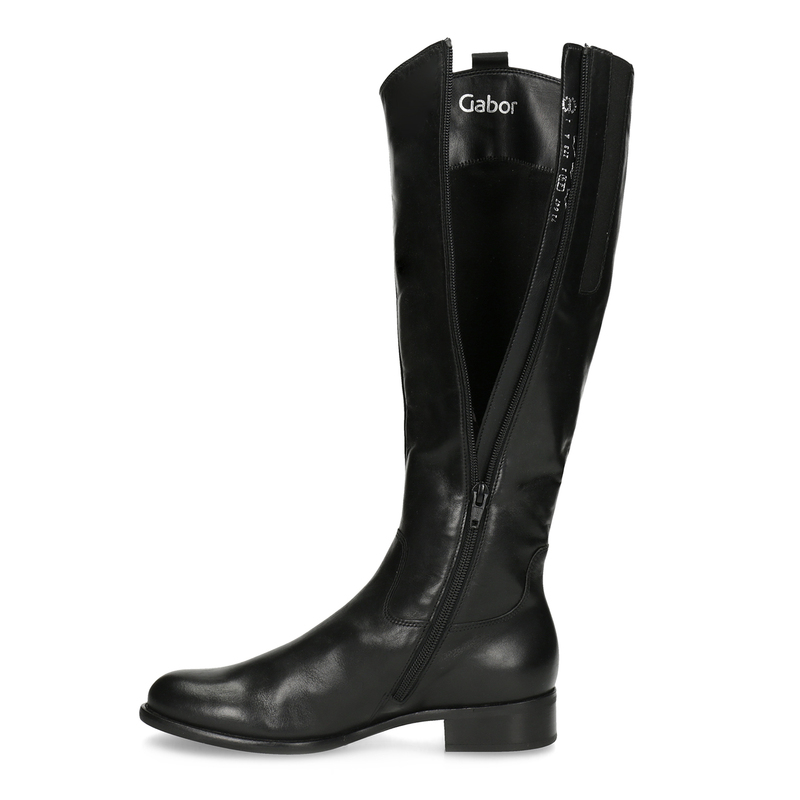 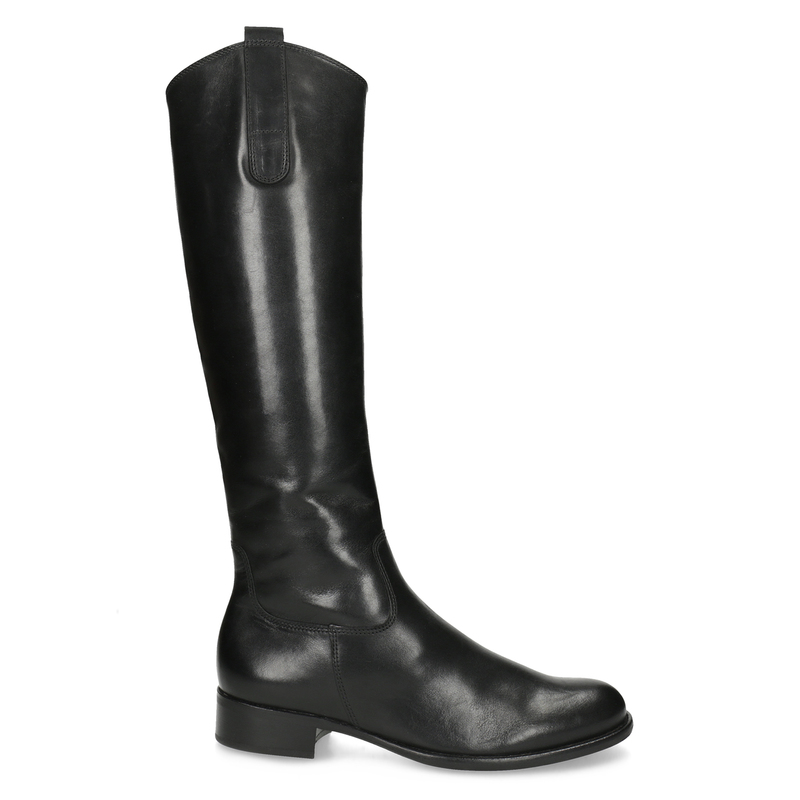 These Gabor ladies’ high boots have a trendy design inspired by the riding style and the premium leather upper has a subtle yet eye-catching texture. 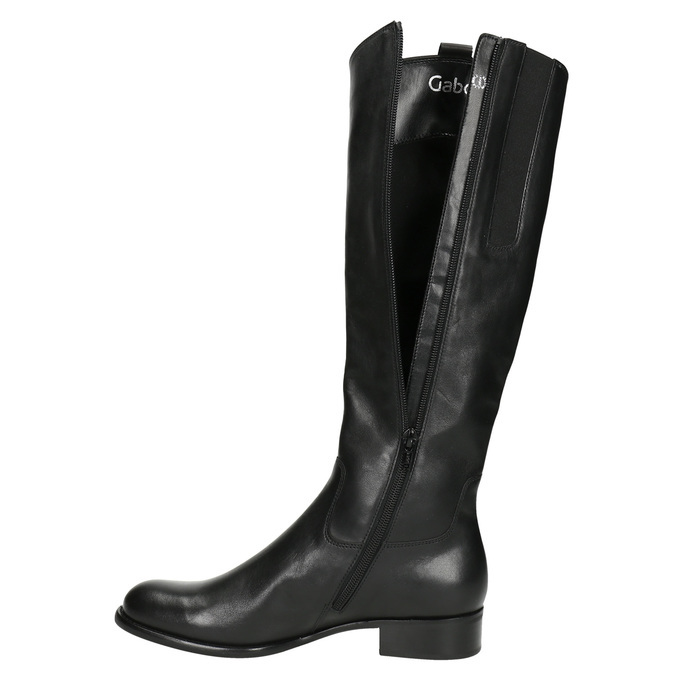 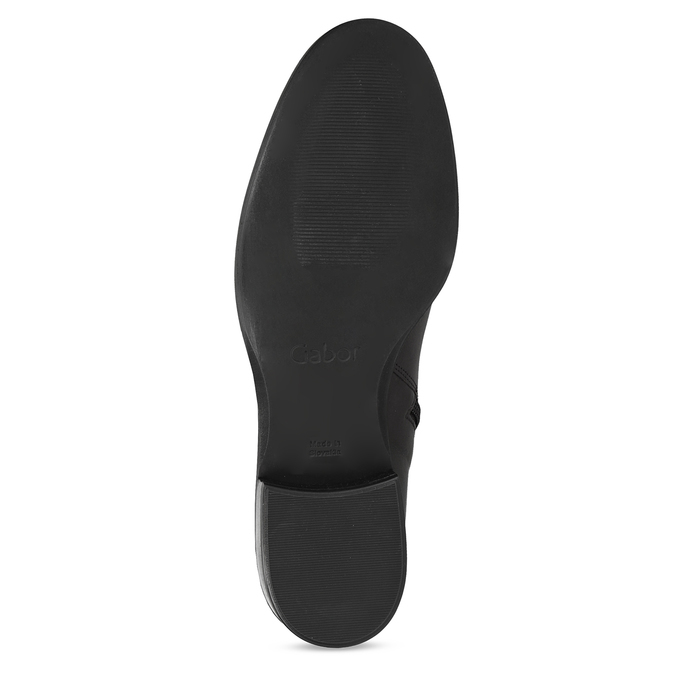 The long zip fastener makes them easier to put on and take off and the low heel will keep you comfortable all day long. 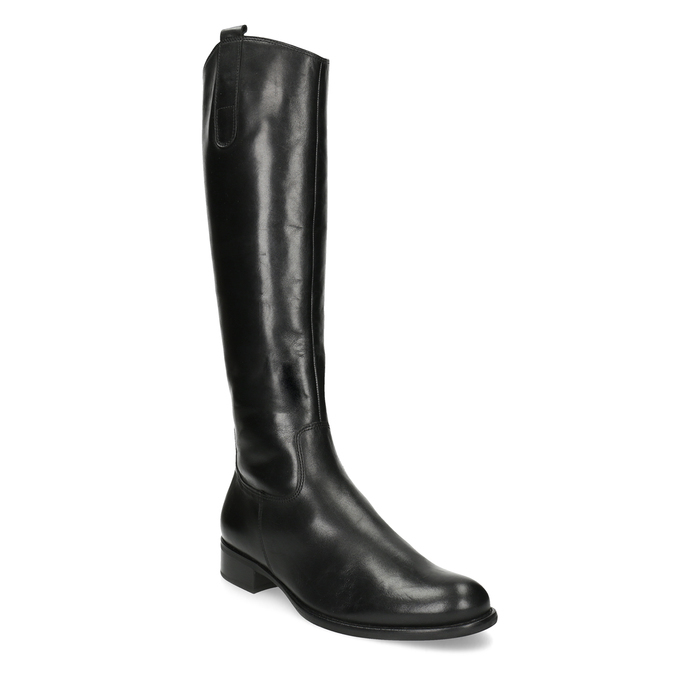 These cry out to be combined with a knitted dress and a leather jacket, but will also look great with narrow Slim trousers casually tucked inside.